NASA’s Origins, Spectral Interpretation, Resource Identification, Security-Regolith Explorer (OSIRIS-REx) mission is undergoing environmental testing at Lockheed Martin Space Systems facilities, near Denver, Colorado. OSIRIS-REx will be the first U.S. mission to return samples from an asteroid to Earth for further study. Over the next five months, the spacecraft will be subjected to a range of rigorous tests that simulate the vacuum, vibration and extreme temperatures it will experience throughout the life of its mission. Specifically, the OSIRIS-REx spacecraft will undergo tests to simulate the harsh environment of space, including acoustical, separation and deployment shock, vibration, and electromagnetic interference. The simulation concludes with a test in which the spacecraft and its instruments are placed in a vacuum chamber and cycled through the extreme hot and cold temperatures it will face during its journey to Bennu. 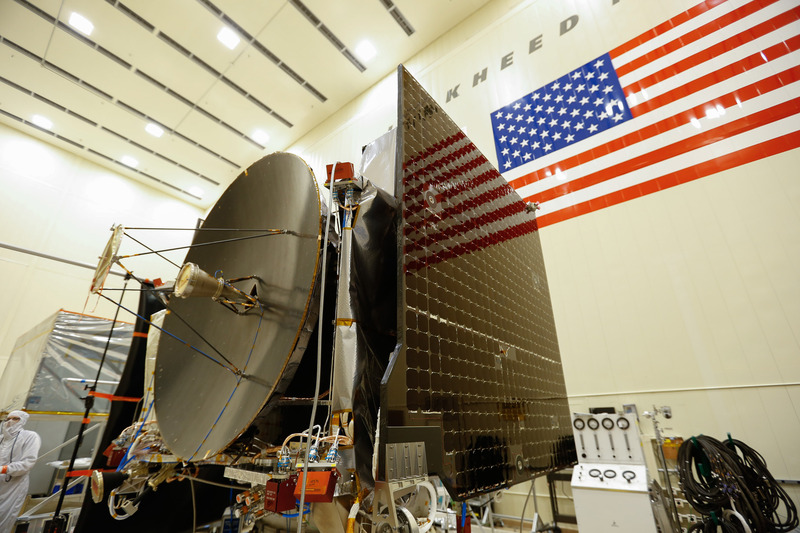 OSIRIS-REx is scheduled to ship from Lockheed Martin’s facility to NASA’s Kennedy Space Center next May, where it will undergo final preparations for launch. After launch in September 2016, the spacecraft will travel to the near-Earth asteroid Bennu and bring at least a 60-gram (2.1-ounce) sample back to Earth for study. OSIRIS-REx will return the largest sample from space since the Soviet Union’s Luna 24 mission returned 170 grams (6 ounces) of lunar soil in 1976. Scientists expect that the Bennu may hold clues to the origin of the solar system and the source of water and organic molecules that may have made their way to Earth. OSIRIS-REx’s investigation will inform future efforts to develop a mission to mitigate an impact, should one be required.